WESTERN SCHOOL DISTRICT GEM! 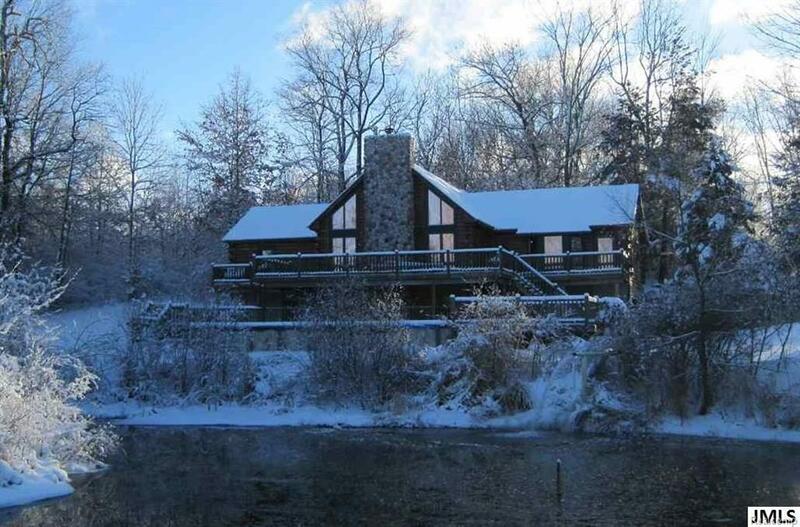 A truly exceptional log home, sitting on a gorgeous 3.32 acre wooded lot, can now be your family's dream home. Cold nights can be spent by the river rock fireplace, while a pond and swimming pool - surrounded by a new composite deck - offer summer fun. This large beauty hosts 4 bedrooms, a den, 3 full bathrooms, a loft overlooking an oversized living room, large master suite, new roof and cell foam insulation, new geothermal heating and cooling, new water softener, double water heaters, new flooring throughout basement, an outbuilding with electric, newly stained exterior, and too many additional perks to mention. Come and see it for yourself before it is gone!